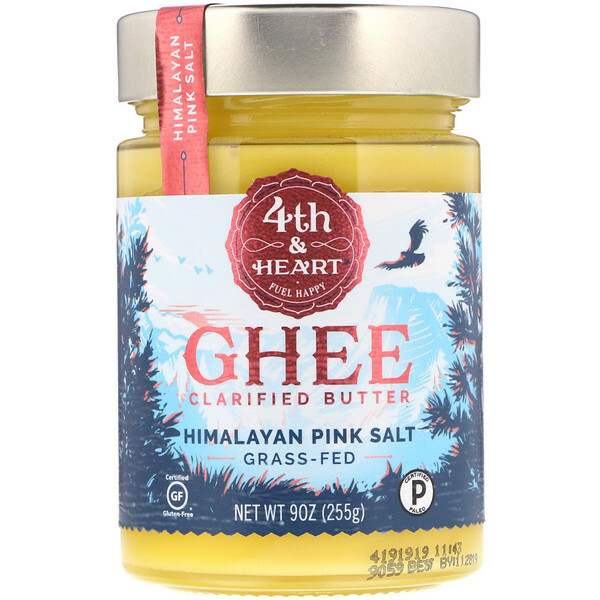 Ghee is a lactose-free, superfood alternative to other everyday butter, butter alternatives, and cooking oils that is made by simply cooking and filtering butter. Use every day for a healthier you. For best results, store at room temperature. Keep clean and dry, and use within 3 months. Clarified butter (milk), himalayan pink salt. High smoke point: 482°F / 250°C. 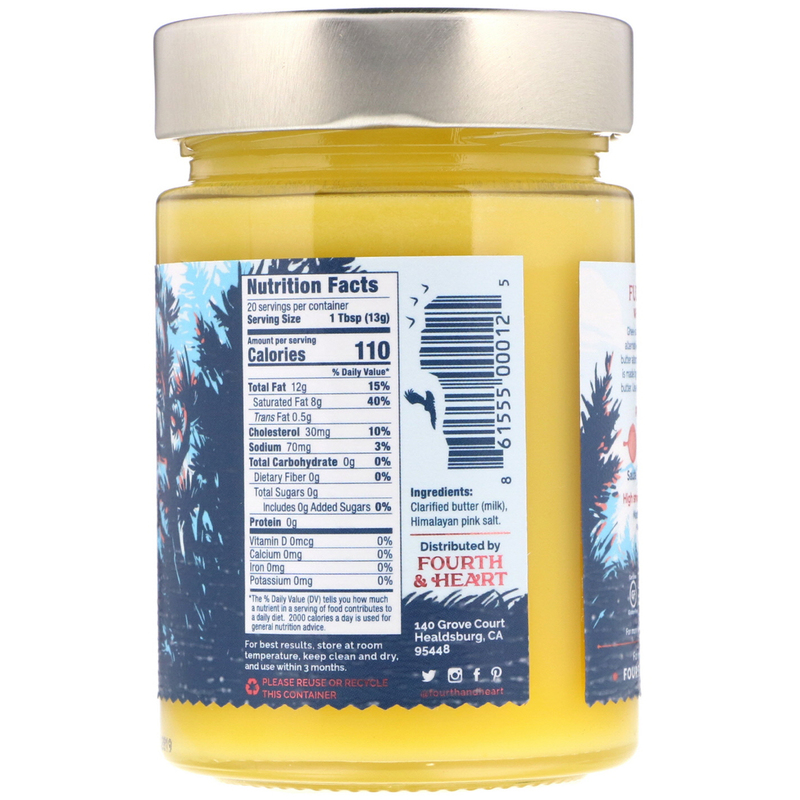 *The % Daily Value (DV) tells you how much a nutrient in a serving of food contributes to a daily diet. 2000 Calories a day is used for general nutrition advice.